Your template is a text document that you’ll want to write after gathering data about your students in your spreadsheet. It will become the body of your hometowner. Throughout your templates you will periodically insert placeholders (spaces reserved for personal details from your spreadsheet). For every group hometowner you send, you will want to create both a single and multiple format template. This allows the Hometown Newsmaker to give a newspaper either a story about one student or a story about a group of students. Your single format template should be written as a news story about one student. It needs a personalized headline including the student’s full name. NOTE: Every person in your spreadsheet will get their own single format news story online. 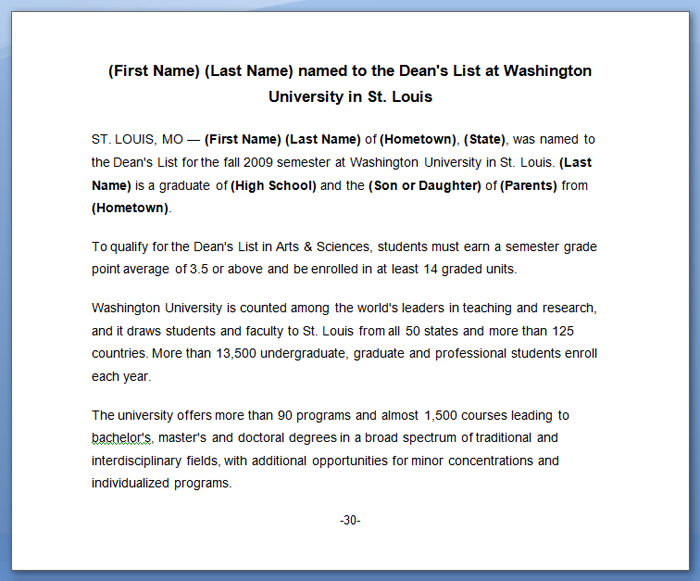 Your single format template should be written as a news story about a list of students. It needs a brief introduction explaining the list of studentsthat will follow. It then needs a brief line of text that will repeat as needed for every student in the newspaper’s coverage area. This is the ONLY part of your multiple format template that can include placeholders. Lastly, you will need a closing. 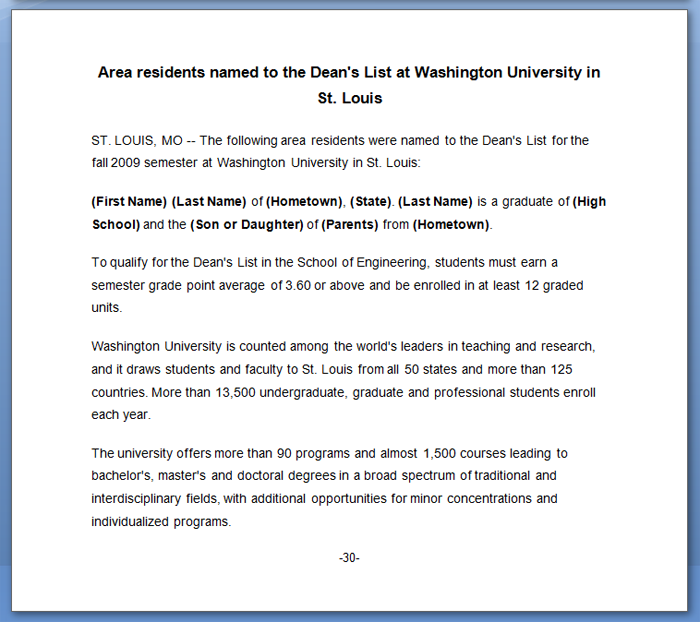 This text will round up your press release and should also include a boilerplate containing details about your institution.